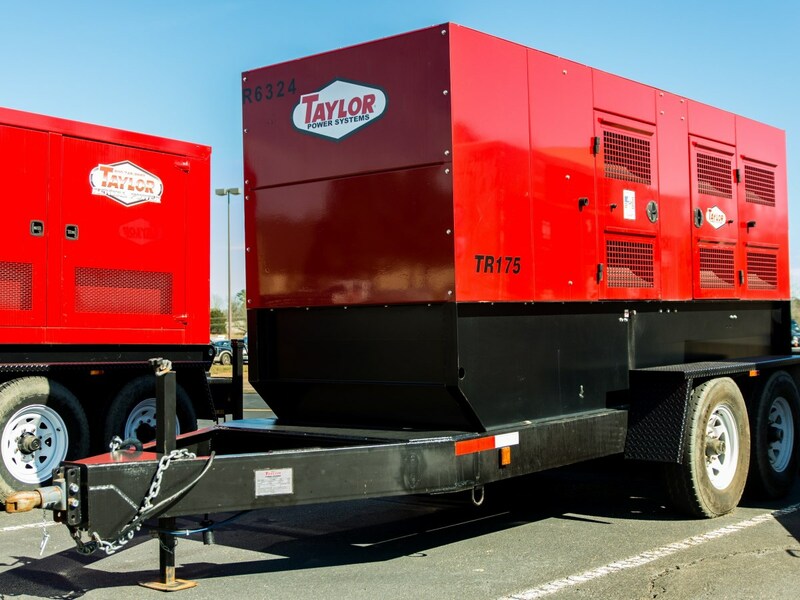 Taylor Power Systems offers a vast rental generator fleet starting at 20kW to provide reliability, optimum performance and critical power for emergency, commercial, industrial and/or construction needs. Our experienced staff can assist you with rental generator rates, availability and any other rental questions you may have. Easy Mobile Delivery: All of our rental generators are trailer mounted for ease of towing and transporting... No need for a crane. 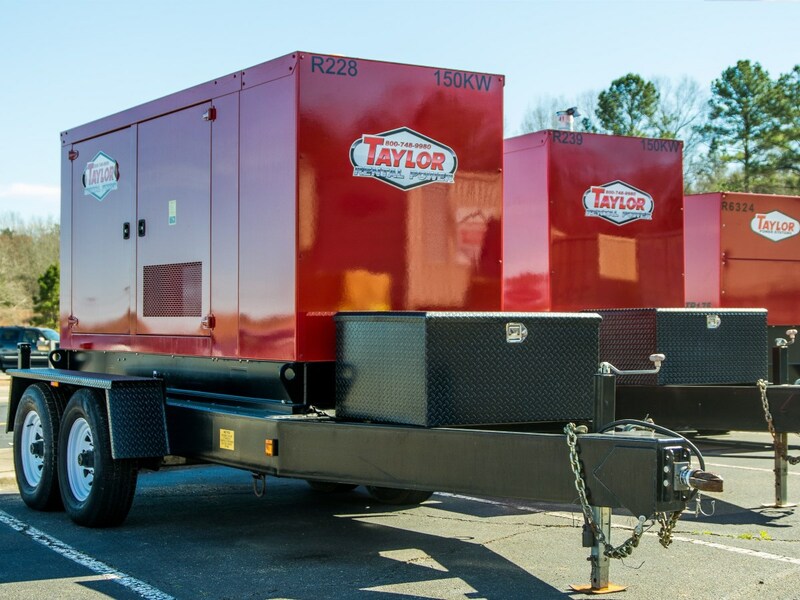 Many Different Size Units: Our rental generator fleet includes all different sizes of generators to meet any need. Starting at 20kW, we offer a variety of solutions to meet any demand you may have. 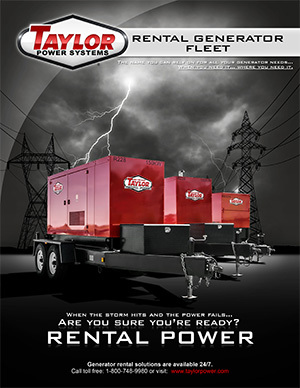 Ask any of our representatives for help in sizing a rental generator to meet your specific job or application. Self Contained: Everything you need for power is onboard Built-in fuel tanks, cable hook-ups and easy to use controls. Air Conditioning Units: Our rental fleet includes 10-ton and 25-ton trailer mounted temperature control units that can provide air conditioning, heat or a combination of both for dehumidifying a space. Flexible Rental Rates: We offer daily, weekly or monthly rates. 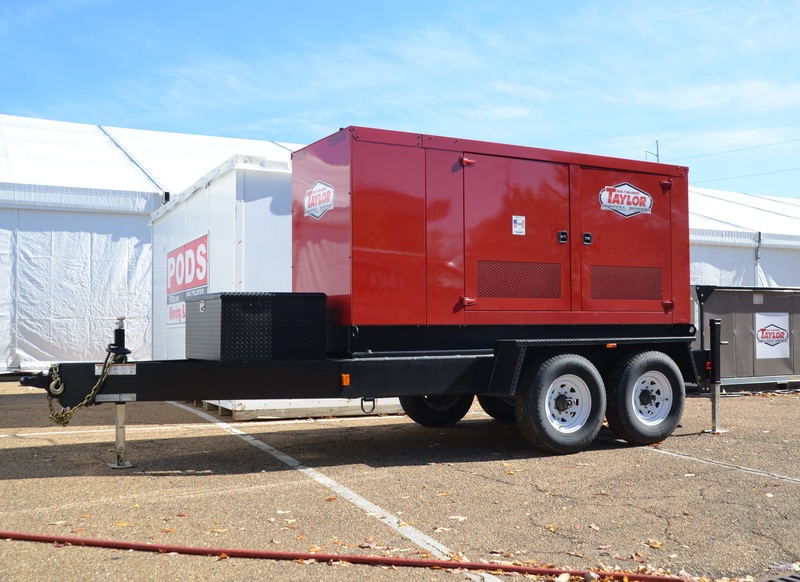 Our turn key rental generator package can include the generator, cables, hauling, refueling and scheduled maintenance. Multiple Locations: Our rental units are located in Jackson-MS, Mobile-AL, Birmingham-AL, Baton Rouge-LA, and Shreveport-LA. 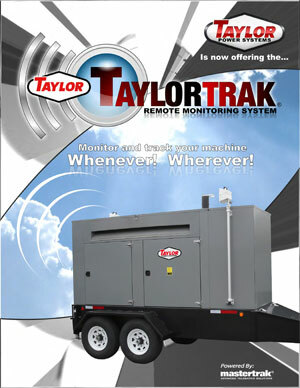 Taylor Power Systems offers rental generators for any application where dependable power is required. Whether on a construction site or as a temporary power solution, We have the right generator for you. We can also meet any requirements for emergency, temporary or back-up power for your construction or event needs. 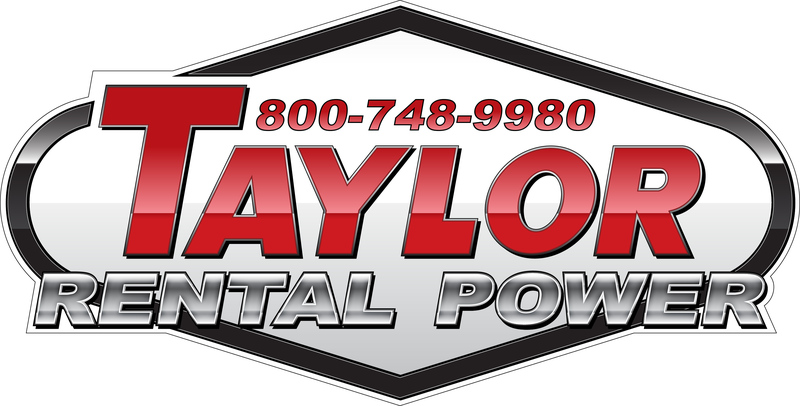 Our experienced staff can assist you with any questions you have regarding the type of generator rental you need or answer any rental questions. For More information, please read our product brochures.